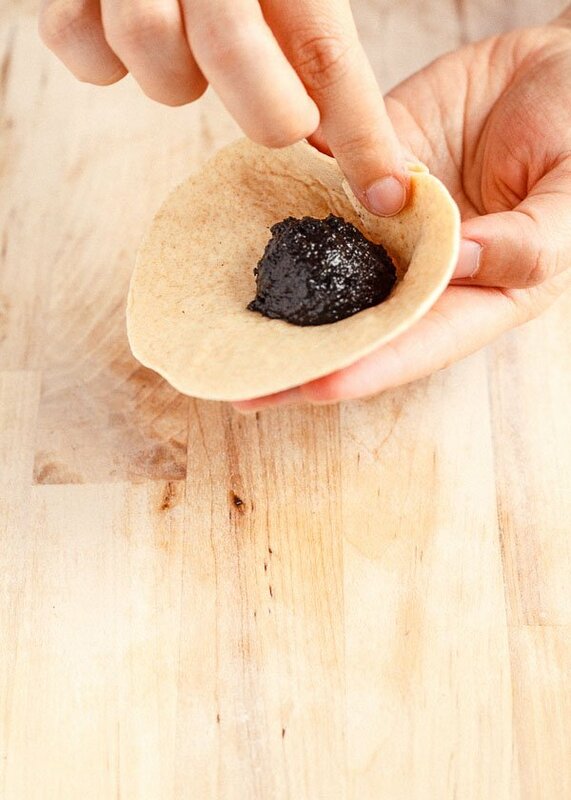 Pillowy soft steamed buns filled with a pop of sweet, toasted black sesame paste. Threw a cup of stone-ground whole wheat flour into the dough for extra nuttiness. Proofing your dough is the most important part. In addition to rapid rise yeast, this dough get a little extra boost from baking powder. It’s a modern secret! My parents don’t use it, but after eating one of these baozi, Mom told me my dough was very well proofed. She also said if you don’t add any whole wheat flour, your baozi will steam up even bigger, but I like the nutty taste of whole wheat, and my buns were fat enough already. 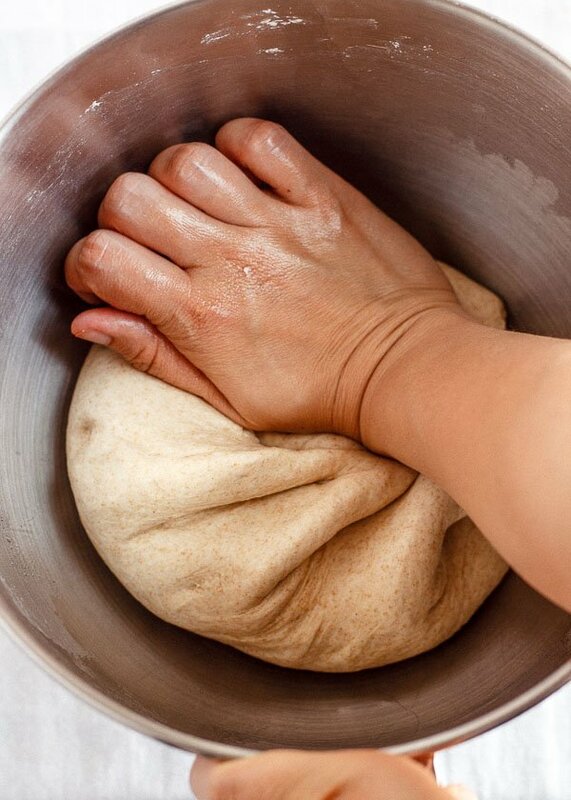 Keep your dough covered at all times with a damp cloth or plastic wrap. Roll your dough so that the edges are thinner than the center. Dad also says you don’t need to roll baozi dough at all. You can just flatten it with the palm of your hand, stretch, and press the edges with your fingertips. You also don’t need a perfect pleat, because unlike dumplings, baozi don’t need to be airtight. Just keep pinching the edges together in folds, working in one direction, until you come full circle. You can leave a little opening at the top, or pinch and twist to seal it. 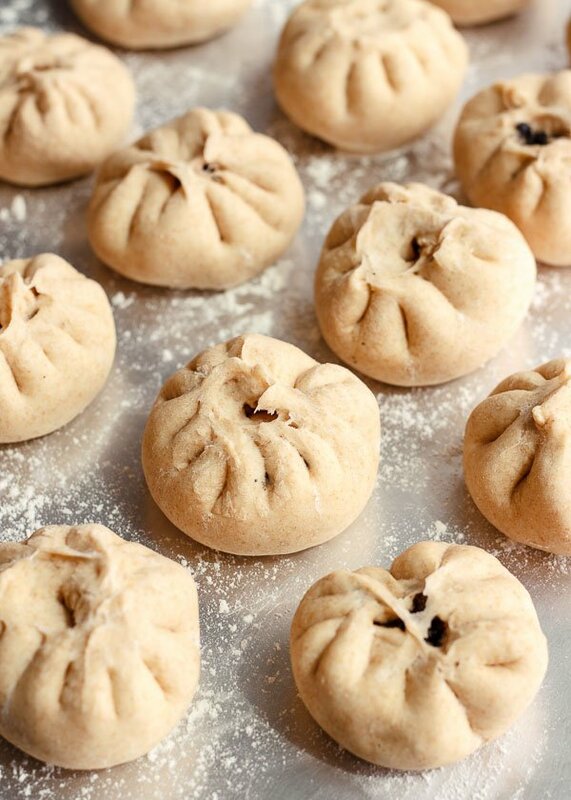 Make sure you cover your wrapped baozi with a damp cloth or plastic wrap while they rise again. Grind in a food processor for 30 minutes. Sift flour with baking powder. Stir in salt. Dissolve yeast and sugar in water, then mix with flour and knead. If using a stand mixer, knead with the dough hook for 10 minutes, then by hand on a lightly floured surface until smooth. Set the dough in an oiled mixing bowl and loosely drape with a wet cloth or plastic wrap. Let the dough sit for 2 hours until doubled in size. 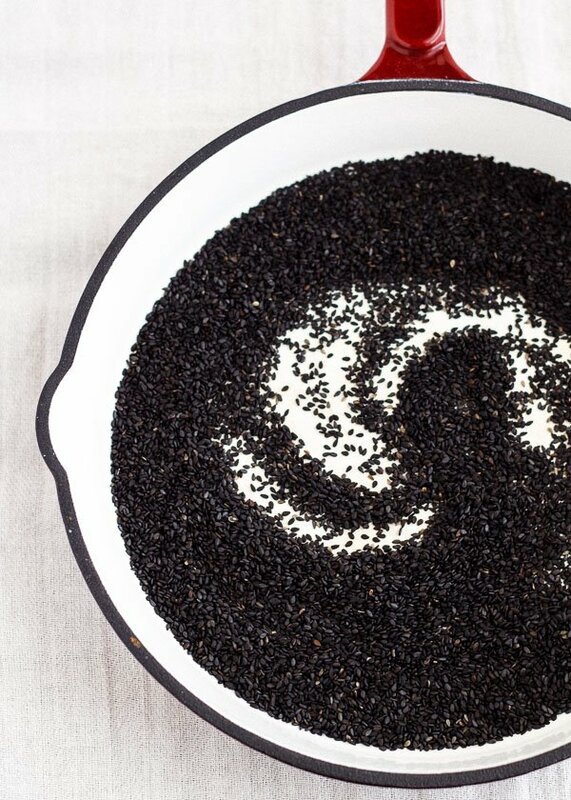 Toast the sesame seeds in a heavy-bottomed pan over medium-low heat, stirring constantly, until they begin to smell fragrant. Remove from pan immediately. Combine sesame seeds with sugar in the food processor and grind for 30 minutes or until it's smooth. Keep scraping the mixture down. After 15 minutes you can start adding water a little at a time. Punch the dough down. Stretch and roll it into a long rope, then slice it into 1/2 inch thick circles. Flatten each circle with your palm. I do this in small batches while keeping everything else covered with a damp cloth or plastic wrap. 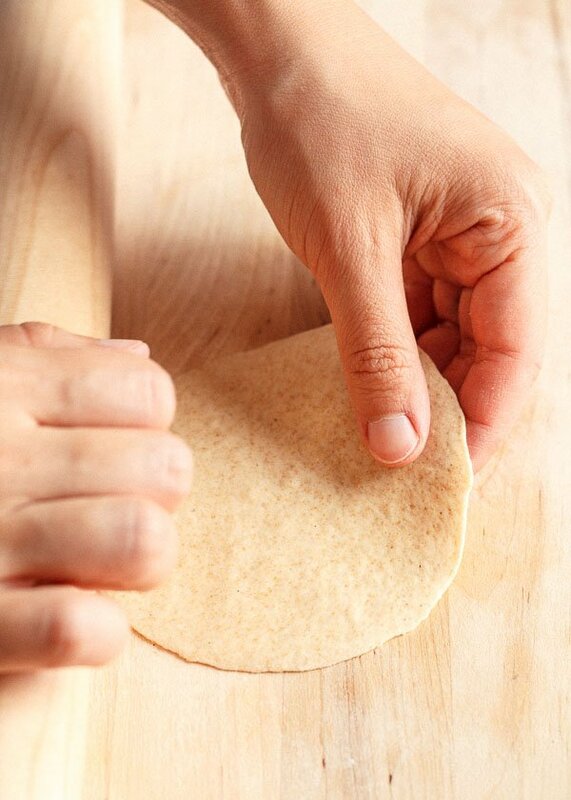 Roll each piece of dough into a 4 inch circle on a lightly floured surface. Rolling the edges thinner than the center. If you don't have a rolling pin just stretch the circle out, then press the edges thinner with your fingertips. 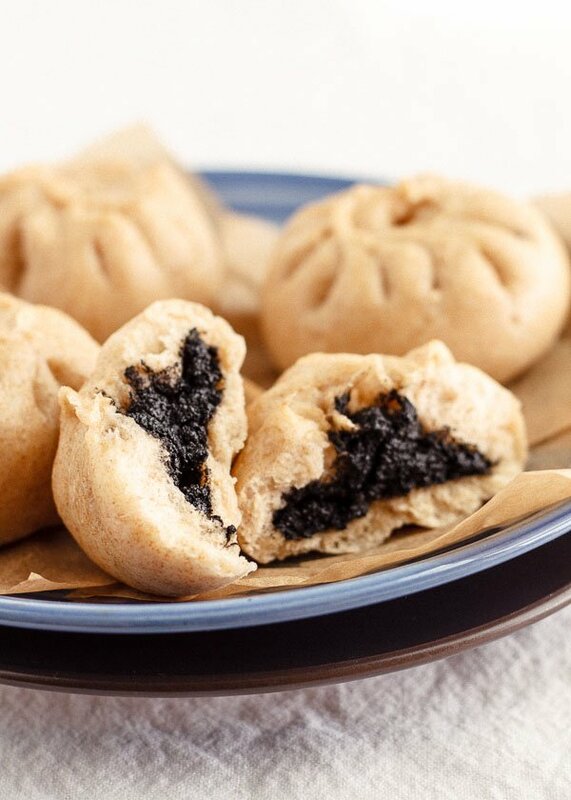 Place a dollop of black sesame filling, about 2 teaspoons, in the center of each wrapper. I use a teaspoon, not the measuring kind but the kind you actually use to stir tea and coffee. Begin crimping by pinching a small fold of the outer edge together. Working in one direction, keep folding and pinching the edges together in one continuous pleat so that eventually you come full circle. Leave a small opening near the top or if it looks too big to you, pinch it closed and twist. Let the wrapped buns rise again under a damp cloth or plastic wrap for at least 30 minutes. Cut squares of parchment paper and lay them down in steamer racks. 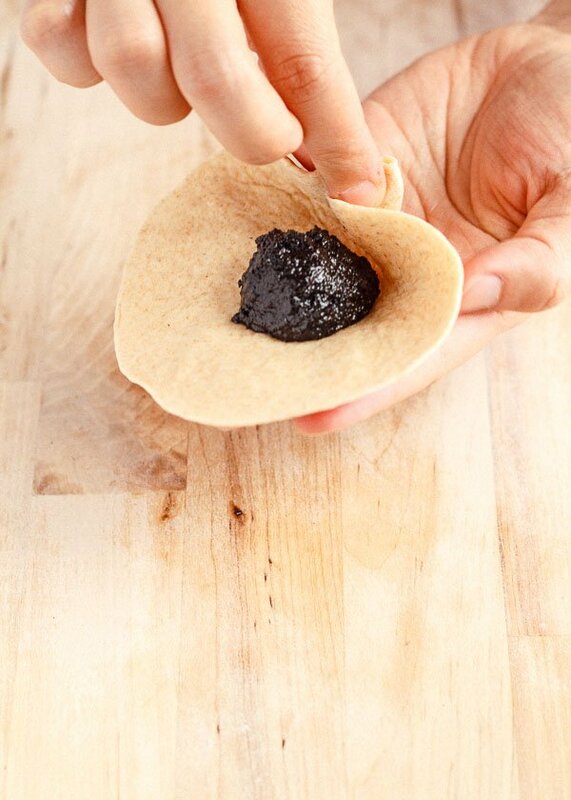 Place each baozi on a square of parchment paper, then steam over simmering water for 10 minutes. Turn off the heat but keep the lid on! Wait 10 more minutes, then remove the lid. Serve warm. I keep the parchment paper on until I'm ready to eat one. It makes for easier packing and re-steaming. 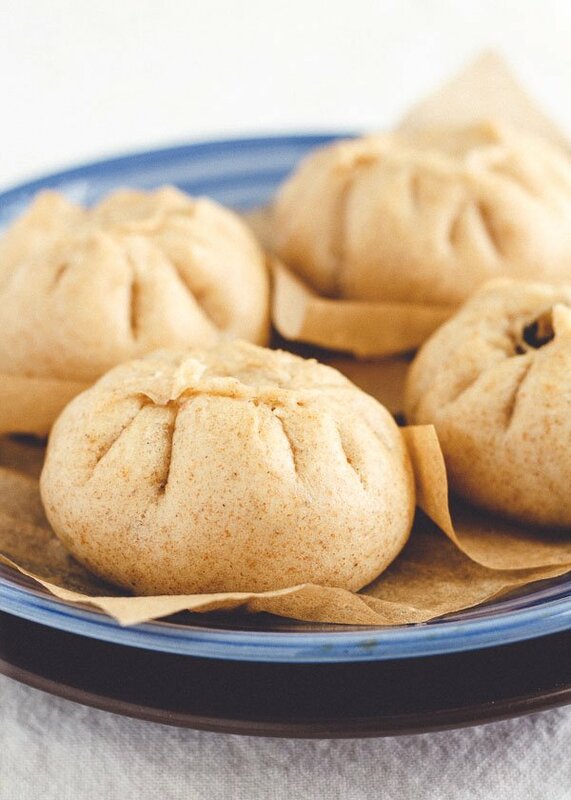 After the first day, store the baozi in the fridge and steam for 5 minutes to reheat. The second time you steam it, you can remove the lid immediately. These will also keep in the freezer very well. You don't need to defrost them. Simply steam for 10 minutes. May I know where or when to put in salt? Is in your list of ingredient but I don’t see it mention in the directions. Thanks. 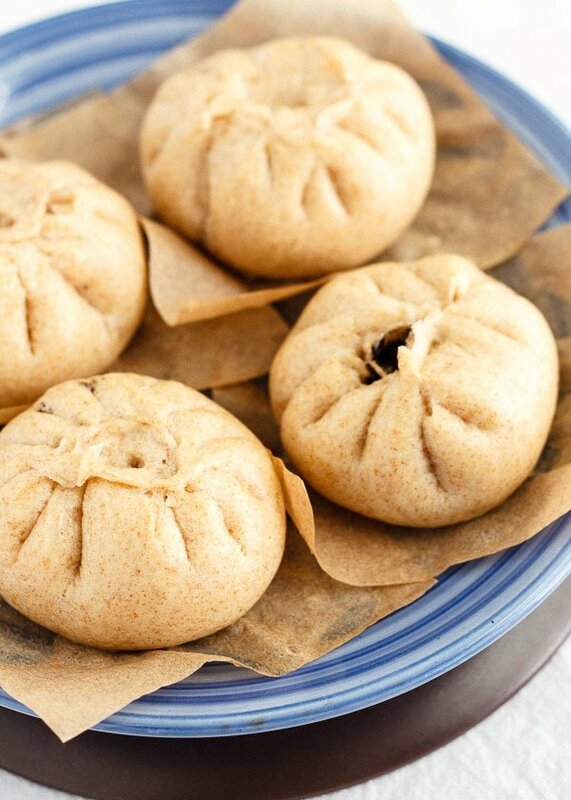 I’ve been wondering for a long time now if I can make whole wheat baozi. (Yes, I know I could just try it, but it’s an awful lot of work for something that fails.) Glad to know the answer is yes! Have you ever tried using white sesame seeds? Do they taste very different, or is it just the color that is different? Hi Claire! White sesame seeds have a milder flavor, but not very different. They would still work in this recipe! Thanks for this simple and elegant recipe! Can i check, at which stage should i freeze the bun? After the first steam or before (i.e. with raw dough and filling)? Lu! You are amazing! These are so so gorgeous. I’m putting these on my list of things to make with the kids this summer. They will love them! Awwww thanks so much Emily!